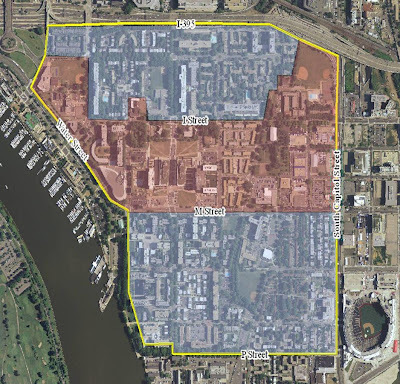 The Mayor announced last week that the Small Area Plan process will move forward for Southwest, which in effect stalls KIPP DC's plans for the Randall Recreation Center site at South Capitol and I streets. Several neighborhood and civic organizations called on the Mayor to keep the SAP process moving forward after KIPP DC began maneuvering to build a new school and recreation center at the site, which has been contentious to say the least. KIPP DC's ambitious timeline called for a new school to open in time for the 2014-15 school year; however, the Small Area Plan will take about a year to complete. The plan boundaries are South Capitol Street to the east, 9th and Water streets to the west, the Southwest Freeway to the north and P Street to the south, which includes several District-owned parcels. The area highlighted in red on the map above shows the primary focus area, where most of the new development opportunity sites and primary urban design issues are located. The areas highlighted in blue are the secondary study area where neighborhood conservation, neighborhood connectivity, and sustainability are the primary focus. Kick-off occurs this month and the plan will be developed over the next nine months with a series of public meetings. Final draft recommendations will be made by March 2014 along with a draft plan for public comment. 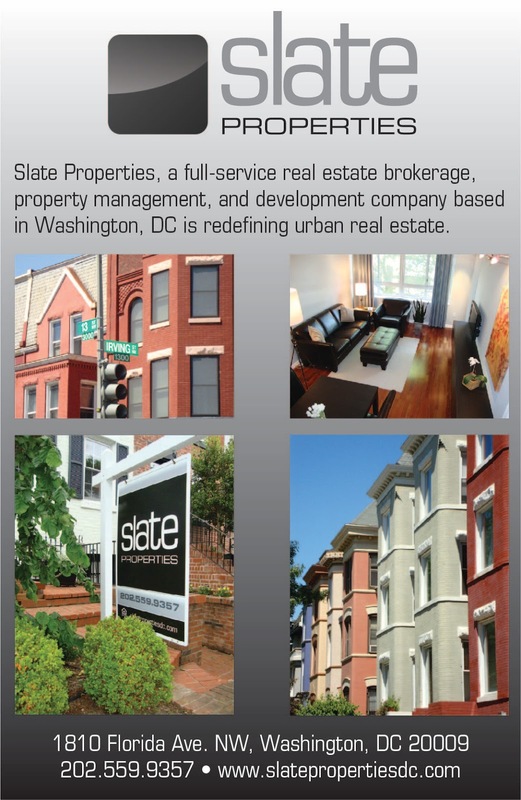 By April 2014, the Mayor will transmit the plan to the DC Council for approval. Once completed, the Small Area Plan will guide land use and provide a neighborhood development framework to enhance pedestrian access, improve street connectivity and transportation options, integrate community amenities, and better serve residents. Glad to hear the mayor is supporting the small area plan. Don't let the KIPP BULLIES in your neighborhood! They're an arrogant, cocky, presumptious group who use their private donors to use their influence to manipulate/pay off the council to get their way at the expense of the neighborhood they want to move in to. Prime example is the Douglass Rd campus. They add no community value as they operate as an island unto themselves until they need something from the community. They use the ruse of "saving the kids" to have their way but many of the kids are not from the neighborhood they move in to and not even from DC for that matter. Please take note that KIPP DOES NOT PLAY WELL WITH OTHERS!